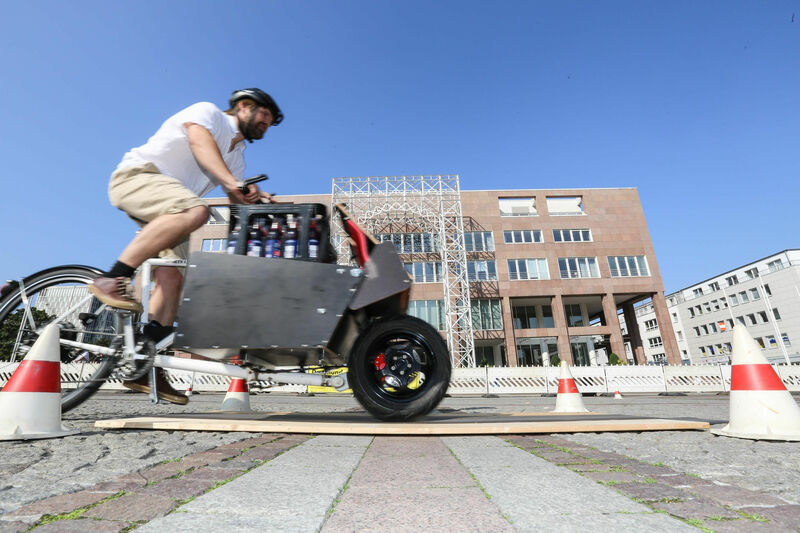 The SUB designed by customind | Sven Bastiaen Schulz wins 2nd price at the cargobike design competition hosted by IHK Dortmund. Equipped with a new modular box with integrated face-to-face rumble seat for two children, the innovative king-pin-steered bike impressed the jury by compact size, huge cargo volume, and stiff construction. Although hardly longer than a convetional holland bike, it can carry 6 standard beer crates or 4 standard beer crates and two children. The audience and other participants at the following cargobike race complimented on the design, too, and many a test rides were held. My take from this great event is a lot of motivation to further develop this concept, originally only intended for private use. My congratulations to Fabian of F&A , winner of the contest for his superlight and elaborated cargo bike. Many thanks go to IHK Dortmund. 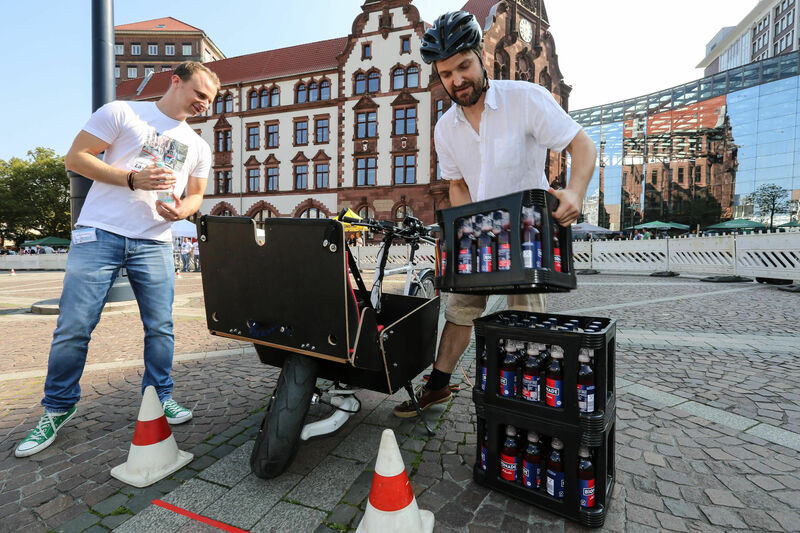 All the best on their way to make Dortmund the capital of cargo bikes, especially since I built my first cargobike just there 25 years ago! I hope to see everyone next year.